If you are looking for the perfect PS4 console and Call of Duty Black Ops 3 bundle deal, look no further than Amazon UK. They are selling the PlayStation 4 and the not yet released game right now from only £299. Those that buy the Sony PlayStation 4 500GB with Call of Duty Black Ops 3 will only need pay £299 or for the 1TB version it is only an extra £30 at £329.99. Even though you can purchase right now the item will not be released until November 6, 2015, which means you need only wait one day for them to ship it out. The new Black Ops game comes with the brilliant ‘Nuk3Town Bonus Map’, which has been built from ground up. You will get to grips with the new chained-movement system (momentum-based), are you ready for a great deal? 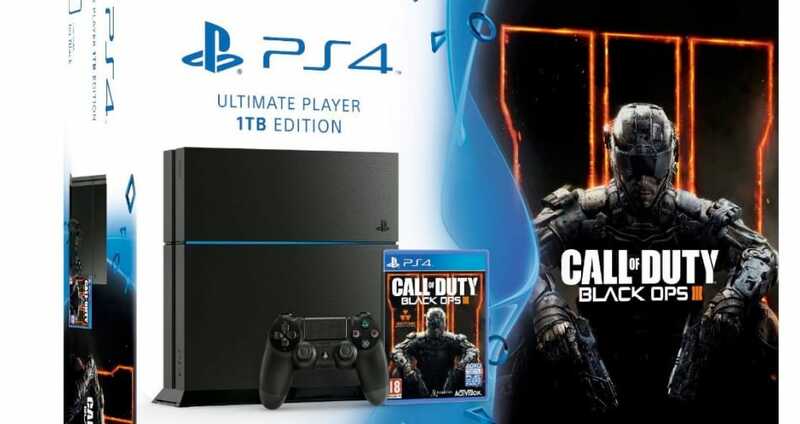 Buy the PS4 and CoD Black Ops 3 bundle via Amazon UK right here. Is this the price all the time or will it change, if this is the lowest it will be then i might as well get the 1TB version. I am going to hang out a little longer for Black Friday deals to kick in, then i will buy the PS4 and Black Ops 3 bundle. Already pre-order baby, so looking forward to this been waiting a while.